The Town of Freedom is a rapidly growing community with a population of 6,057. 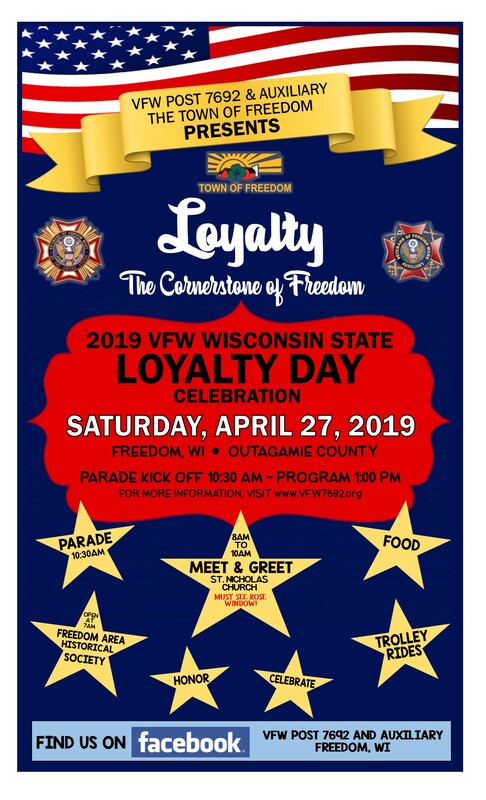 Freedom is actually at the crossroads of the Fox Valley, located halfway between Appleton and Green Bay on County E and halfway between Kaukauna and Seymour on State Highway 55 in Outagamie County. The Town of Freedom shares borders with: Center, Osborn, Oneida, Kaukauna, Grand Chute and Vandenbroek. The brush pickup will no longer be picked up due to staff shortage. The Town Garage will be opening Monday, April 15 and is open 24 hours a day. What is Difference Between Town Meeting and Town Board Meeting? Outagamie County Mass Notification System – Follow this link to sign up for updates on what is happening in your area! Join our Text Message List to receive important information/announcements from the Town. Just text the word "FREEDOMT" to "36000" and answer the question with a "Y". You will then receive a text that you have been added to our list! Found an Engagement/Wedding Ring. Appears to have come off a necklace. Please call us at 920-788-4548 if you are missing it! 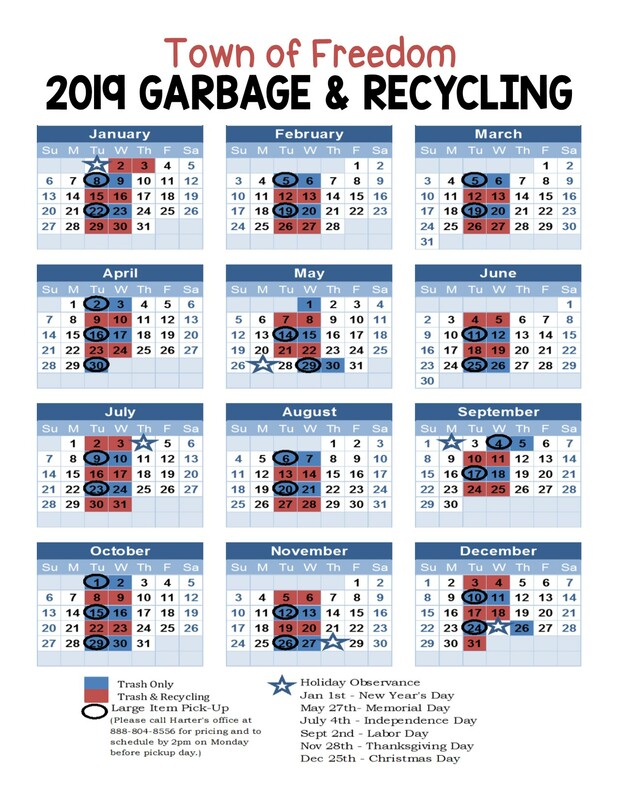 Please remember to properly place your weekly trash and recycling containers along your street. The containers should be positioned four feet from the paved road surface for roads with ditches or as close to the backside of the curb as possible for roads with curb & gutter. Properly placing the containers allows the snow plowing crews to do a better job of plowing and also minimizes the potential for damage to the containers. Garbage and recycling bins should be placed by 5am along the road/curb for pickup. BURNING OF LEAVES, BRUSH, CLEAN WOOD OR OTHER VEGETATIVE MATERIALS IN RESIDENTIAL AREAS The burning of all leaves, brush, clean wood or other vegetative materials in any residential area is strictly prohibited. Any burning of leaves, brush, clean wood or other vegetative materials outside of any residential area is allowed but only with an approved permit from the hours between 4 PM and 9 PM.